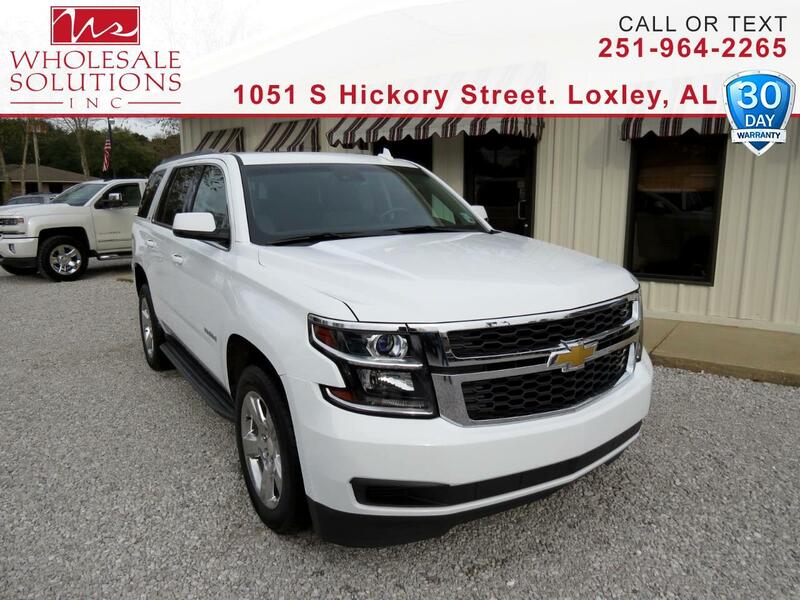 Used 2016 Chevrolet Tahoe 2WD 4dr LT for Sale in Loxley AL 36551 Wholesale Solutions Inc.
CARFAX One-Owner. *** DEALER WARRANTY ***, ***Financing Available***, DVD Player, ** Low Miles **, *** MANUFACTURE WARRANTY ***, Navigation, Sunroof, 4-Wheel Antilock Disc Brakes, ABS brakes, Alloy wheels, Compass, Electronic Stability Control, Front dual zone A/C, Front Heated Reclining Bucket Seats, Heated door mirrors, Heated front seats, Illuminated entry, Lane Keep Assist, Low tire pressure warning, Power Liftgate, Power-Adjustable Accelerator & Brake Pedals, Remote keyless entry, Traction control. Odometer is 23096 miles below market average! Clean CARFAX.